When was the last time your repaved your parking lot? 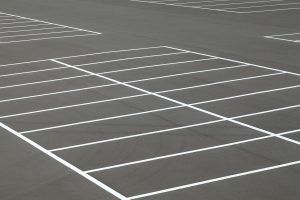 As a business owner, your parking lot should be an important point of consideration for your business. While your storefront may be the primary focus of your attention throughout the year, it is also essential to consider the state of your parking lot as a part of the entrance to your business. Even if your storefront is in excellent condition, a worn-out parking lot can create a negative first impression for new customers, as well as create a potential safety hazard for existing ones. Is your parking lot overdue for a repaving? As you prepare your business property for the upcoming winter, keep in mind these three crucial considerations for repaving your commercial parking lot this fall. Leaving potholes untouched in your business parking lot is a recipe for disaster. Not only are they a nightmare for drivers coming and going from your business, but they are also a hazard for pedestrians walking through your lot. Don’t put your employees and customers at risk for an accident or injury in your lot! By repaving your parking lot this fall, you can confidently run your business this season without worrying about a potential injury caused by a pothole. While one pothole is easily repairable, a significant amount of potholes in your parking lot should be a sign that your lot needs to be repaved as soon as possible. Start fresh this holiday season with a freshly paved parking lot for your holiday customers. By repaving your commercial parking lot, you can enhance the curb appeal of your business as well as boost the value of your commercial property. If you are looking to sell or rent out your commercial space in the future, a newly paved parking lot will help to contribute to its visual appeal to a potential buyer. Take time to make the most of your investment by improving this important aspect of your commercial property this year. Don’t let the state of your parking lot deter potential customers from your business this year! The curb appeal of your business is a crucial part of its success. A newly paved parking lot is the perfect facelift for your business at the start of the holiday season. With plenty of potential customers out shopping for the holidays, it is crucial to ensure that your business looks its best for the upcoming months. Make an excellent impression on your current and potential customers with a clean and professional looking parking lot this season. This entry was posted on Monday, November 5th, 2018	at 4:18 pm	and is filed under Construction Industry	. You can follow any responses to this entry through the RSS 2.0	feed. Both comments and pings are currently closed.